This Handbook surveys existing descriptive and experimental approaches to the study of anxiety and related disorders, emphasizing the provision of empirically-guided suggestions for treatment. 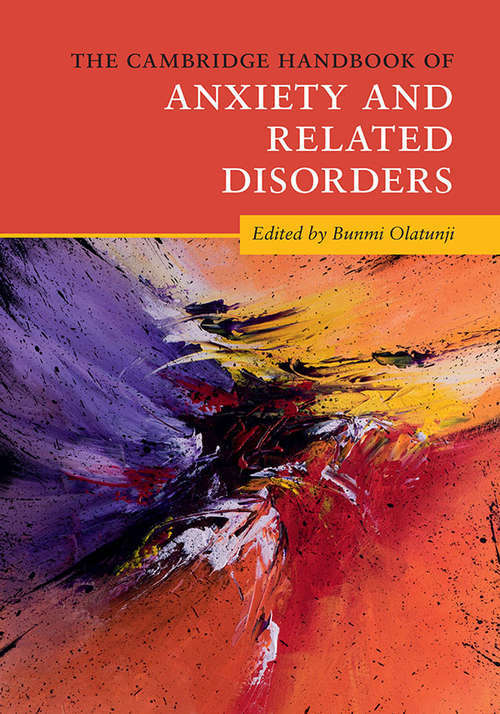 Based upon the findings from the Diagnostic and Statistical Manual of Mental Disorders (DSM-5), the chapters collected here highlight contemporary approaches to the classification, presentation, etiology, assessment, and treatment of anxiety and related disorders. The collection also considers a biologically-informed framework for the understanding of mental disorders proposed by the National Institute of Mental Health's Research Domain Criteria (RDoC). The RDoC has begun to create a new kind of taxonomy for mental disorders by bringing the power of modern research approaches in genetics, neuroscience, and behavioral science to the problem of mental illness. The framework is a key focus for this book as an authoritative reference for researchers and clinicians.